A lot of you know the Wealthy Affiliate program, if not check out my review and see what you are missing. One major thing that has been missing from it is the ability to work completely from a mobile. Yes you still have the problem of creating articles with a miniature keyboard – i wouldn’t like to produce 1500 words on a screen keyboard. But overcoming that with a speech to text editor or a virtual keyboard, you can now comfortably operate on the Wealthy Affilaite platform on a mobile. Check out Carson’s blog release on this. They have a little way to go but the majority of the functions are now mobile ready. So a big thanks goes to Carson ( one of the founder) and the technical team who work so hard in the background. 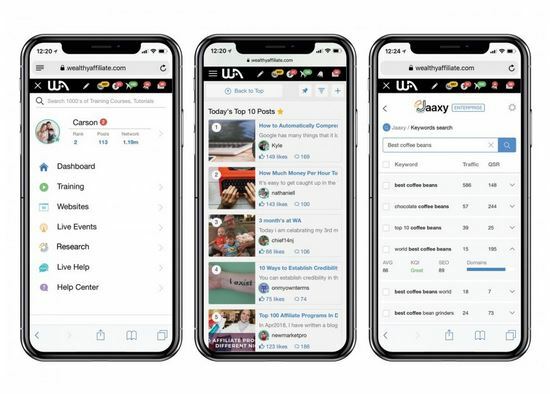 This shows you the level of work which is going on behind the scenes at the Wealthy Affiliate progam. 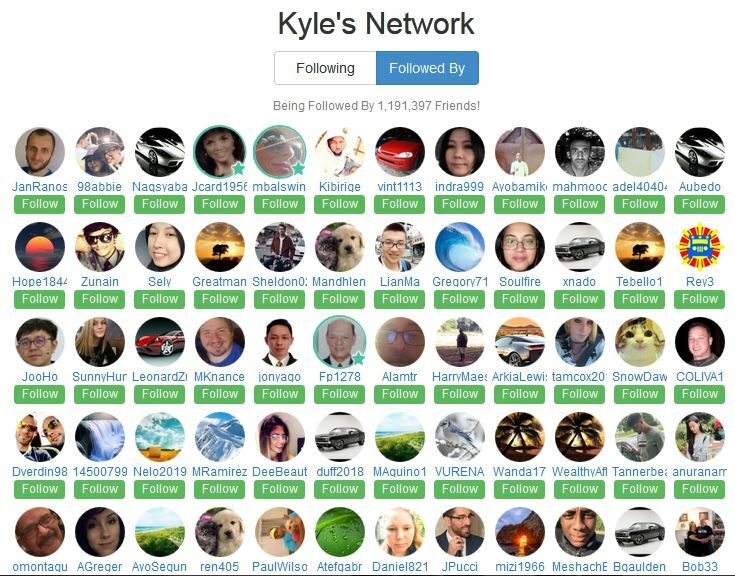 So if you seriously wish to change your future by learning how to create an online business then please join me and to data (Sept 2018) 1,191,397 – Kyle gets to be friends with everyone who joins the platform. I have now been there 2 1/2 years and have no intention of leaving, the one main thing that keeps me there, and others who have been there longer, is the community. 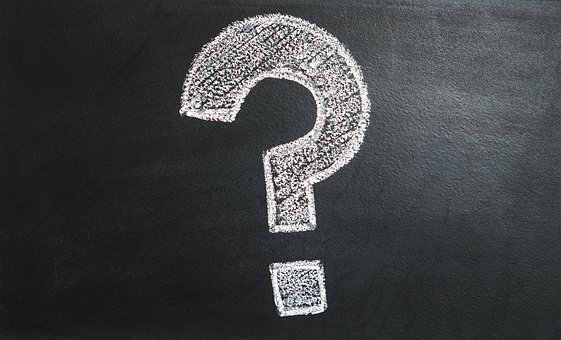 If you hit a problem, and you will whether you are a newbie or a seasoned marketer, then you can ask the community a question – or search the millions of already asked questions, and get an answer – it may not fix what your problem is completely but will get you going in another direction to getting it solved. So for anyone who was reluctant to join, due to the fact that they didn’t have a desktop pc and wanted a mobile friendly platform to operate from then now would be a good time to join. The other reason that now ( sept 2018) would be a good time is the fact that it takes about 3 months to gain traction , to get out of the sandbox google puts around new sites – so if you joined now then your site would gain traction just before christmas. whole time if you choose so you can get visitors. But the end result will be a passive income. But this doesn’t mean money rolling in with no work form you. You wil still need to create content for your site and market it. But you can live your life and know that your business is working for you 24 hours a day rather than only when you are there. Hence the term ‘ make money while you sleep’. You may have heard about a Wealthy Affiliate android app – BUT THERE ISN’T ONE – so please don’t download it as it is not an official app. Denial from Wealthy Affilaite over the android app. The only way to get into Wealthy Affilaite is via the website – either on a pc or mobile. At present there are no plans to create an app. Now there is no excuse not to try out the Wealthy Affiliate platform as it is free to try. You never know where it may take you. So if you have any questions or have any opinions about the wealthy affilaite program, but remember that i would only promote it to newbies who are looking for a safe environment to learn about affiliate marketing. 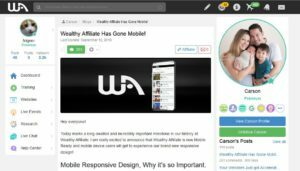 Thanks for reading, and remember that Wealthy Affiliate is now mobile ready. Thanks for bringing this to my attention Phil. 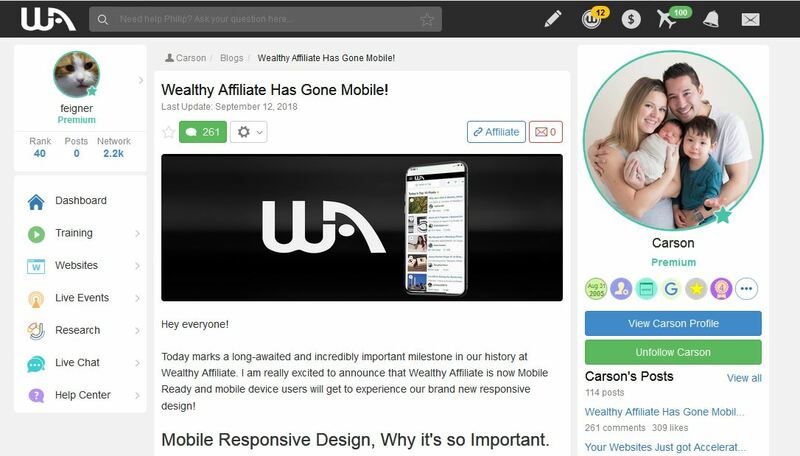 I’ve been at Wealthy Affiliate since 2014 but had no idea about them now going mobile friendly! I always work on my sites on a laptop, but I know a lot of people prefer to use their phones. One of the great things about WA is that they are always innovating! 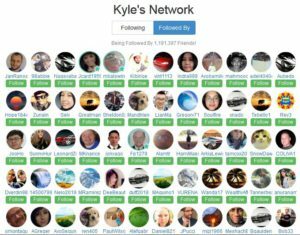 As you say the Wealthy Affiliate platform is always moving forward. 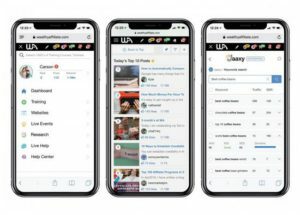 Next year (2019) they are going to be adding a lot of new features and continuing to update the training.